The endolithic microbial communities of the Antarctic represent a borderline lifestyle in the most hostile ice-free areas of the continent. The extreme adaptation of microbes in these communities renders them very sensitive to environmental changes. To date, the actual distribution of these communities has never been investigated; yet, this information would define the geographic limits for life at present and supply a useful tool for monitoring any possible future variation related to climate change. In this study, most of the outcrops of Northern and of one site in Southern Victoria Land were recorded by altitudinal and sea distance gradients. The presence of endolithic life was determined by in situ observation, by microscopic observation of rock fragments in the laboratory, and, for doubtful samples, by culture experiment. Colonizers were present in more than 87 % of the visited sites. The presence of lithic life in Victoria Land appears to be wider than that reported 14 years earlier. The colonization trend follows climatic variation, with epiliths prevailing in coastal sites and decreasing towards the interior, while chasmoendoliths and cryptoendoliths increase and become predominant from the coast towards the inland sites. Typical cryptoendolithic colonization was exclusive on porous rocks as sandstone, chasmoendolithic colonization occurred even in less porous but translucent rocks as granite and quartz. Multivariate analysis of the combined results clearly indicates the pivotal role of the rock type in the colonization of endolithic micro-organisms; sandstone allows lithobionts to push themselves towards areas characterized by harsher conditions. 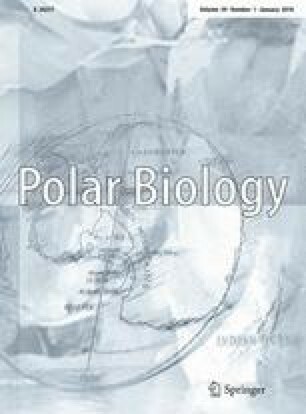 This article is an invited contribution on Life in Antarctica: Boundaries and Gradients in a Changing Environment as the main theme of the XI SCAR Biology Symposium. J.-M. Gili and R. Zapata Guardiola (Guest Editors). The authors thank the Italian National Program of Antarctic Researches (PNRA) for the financial support to the project. Climatic data were obtained from the server http://www.climantartide.it of the Italian National Research Program in Antarctica (PNRA Copyright—Italian National Research Program in Antarctica—all rights reserved); a special thank to Drs. Paolo Grigioni, Andrea Pellegrini, and Claudio Scarchilli (ENEA) for their support in retrieving Antarctic climate data. The authors are grateful to Dr. Steven Emslie (University of North Carolina Wilmington) for accurate English revision of the text. The authors also thank all the Antarctic colleagues participating in the XXVI Italian Antarctic expedition for their invaluable help and support in the collection activity: Dr. Fabrizio Balsamo and Gianluca Vignaroli (Dept. of Geological Sciences, University of Roma Tre); Prof. Roberto Guidetti (University of Modena and Reggio Emilia); the Alpine guides Giovanni Amort, Giancarlo Graziosi and Roberto Guadagnin; the Head of expedition Alberto Della Rovere.